Colorado Springs, also known as “The Springs,” is home to over 400,000 people and is famous for being one of the “Best Places to Live”. 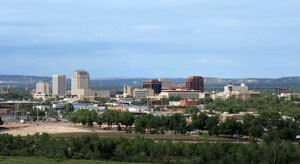 Situated at the foot of the famous Pikes Peak, there is an emphasis on tourism in the city. Local advertisers can use tourist destinations like the famous Garden of the Gods to target their audience. Effective advertising opportunities are also available on the major highways servicing Colorado Springs. Billboards on I-25, US 24, or Colorado 21 would generate high traffic exposure of your business. Zip Codes: 80901, 80903, 80904, 80905, 80906, 80907, 80908, 80909, 80910, 80911, 80912, 80913, 80914, 80915, 80916, 80917, 80918, 80919, 80920, 80921, 80922, 80925, 80926, 80928, 80929, 80930, 80931, 80932, 80933, 80934, 80935, 80936, 80937, 80940, 80941, 80942, 80943, 80944, 80945, 80946, 80947, 80949, 80950, 80960, 80962, 80970, 80977, 80995, 80997.